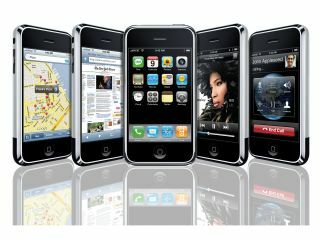 Apple has begun investigating claims the new iPhone 3.1 firmware update is significantly reducing battery life. A number of disgruntled users have been posting furiously over on the Apple Support forum, with nearly all stating that the new upgrade has led to a significant reduction in battery life. According to The iPhone Blog, Apple has sent emails to a number of those concerned, asking a number of questions about their experiences. One of the more interesting posed is: "When you notice a power drop, does it seem to be a legitimate power drop, or rather an issue with the battery icon indicator?" Apple is asking the users to install a battery life logging application on the iPhone, which measures the power drop rate and then sends the data back to HQ when synchronised with iTunes. While not necessarily tantamount to an admission of guilt from Apple, it does show there's a potential problem with the iPhone 3.1 software, which isn't good when the company is already stereotyped as having a shorted than average battery life.